Last week we had the pleasure of attending the Southeast CU Conference & Expo. SCUCE is one of the largest credit union conferences in the country and is a great opportunity to interact with and exchange innovative ideas with credit union leaders from across the country. One of the main goals of this annual conference is to discuss the latest technologies, applications, and resources available to credit unions to improve their operations and efficiencies and better serve their members. 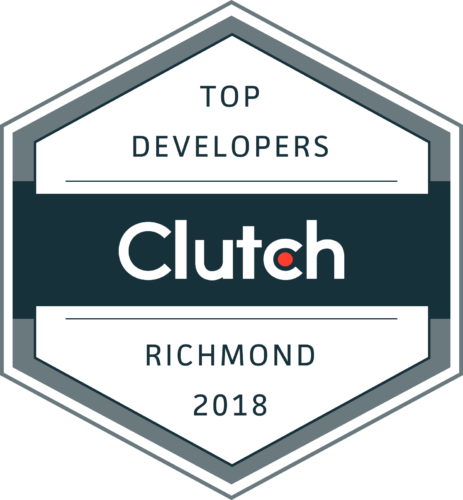 At Shockoe, we are committed to innovation through mobile technology and customer-centric solutions, so we were excited to participate in this event and share our experience developing the mobile app for Virginia Credit Union. Why is mobile technology for credit unions now more important than ever? There is no question: mobile technology has become as ubiquitous as the wallet in one’s pocket or purse. With 95% of Americans carrying a cell phone (77% of which are smartphones), credit unions should be feeling the pressure to deliver great app experiences to their customers. According to the BBC, in 2011, 22 million UK adults turned to their cell phones to manage their finances, and this number is expected to rise to as many as 35 million by 2023 — a whopping total of 73% of the country’s population. Here in 2018, Gen-X is increasingly impacting the direction of the U.S. workforce. More dollars are being invested with financial institutions, and younger users are looking to maintain greater oversight of their finances in the way they know best — mobile interfaces. In fact, The CACI estimates that by 2019 mobile will overtake traditional online banking. A shockingly rapid change since 2013 when approximately only 50% of online users opted for mobile as their platform of choice versus web. In addition to rethinking their IT strategies, Credit Unions need to prepare for a shift operational strategies as well. Branches will play a decreasingly relevant role in money management for the active workforce — money that could be shifted to embracing security, IT infrastructure, and mobile strategy that keeps banking operations lean and effective. It’s clear that today’s digital-centric credit union consumers have higher expectations of their institutional providers. To appeal to these consumers, businesses will need to find innovative approaches to digital customer engagement. Custom mobile apps allow for a tailored, personalized, customer-centric experience that is unique to the brand. Pair this with customized employee productivity apps, and the entire operation works seamlessly to meet customer needs and build brand loyalty. The credit unions that are able to adopt this “outside-the-box” thinking will be more likely to succeed in this new, highly competitive consumer landscape. How can Shockoe help your credit union? In working with a local credit union, Virginia Credit Union, (one of the 55 largest Credit Unions in the country), we’ve conducted significant discovery to determine what members expect out of their banking app. VACU approached us to help their customers integrate a credit card management option and improve their overall mobile application. VACU was using Fiserv as their core banking system and quickly realized that they were limited in what they could do with their mobile technology. We learned at SCUCE that this is a very common theme at most credit unions. As credit unions outgrow the “out of the box” solution, they search for a more tailored way to connect with their members to uphold customer loyalty and provide a seamless mobile banking experience. That’s where Shockoe comes in. We augment your development teams and partner together with your core banking system to provide you with a custom app carefully designed to fit your members’ needs. Our connections at SCUCE confirmed our assertions about the importance of custom mobile apps, and we’d love to continue to share our knowledge and expertise with the greater credit union community. Whether it’s helping with API strategy, development, security, or UX/UI design – we’re here to help find innovative approaches to attracting and retaining customers and improving the day-to-day employee experience. At Shockoe, we strongly believe that the credit unions that embrace custom mobile apps will have customers that are more engaged and more loyal, allowing these credit unions to thrive in a highly competitive environment. If you’re interested in exploring how custom apps might be able to help your credit union, give us a call to chat about how we can help!